The attractiveness of an individual (i.e. its ability to arouse interest in a potential mate) has important implications for its reproductive success. However, attractiveness is not a fixed trait. Previous work has shown that male birds can adjust the intensity of their courtship display in response to variation in female behaviour, but little is known about how males adjust their behaviour during mate choice in response to social feedback about their own attractiveness independent of their intrinsic quality. Such information may help to maximize the potential mating success of males. Here, we provide experimental evidence that the amount of attention given by male zebra finches to females is dependent upon the manipulated attractiveness of males. 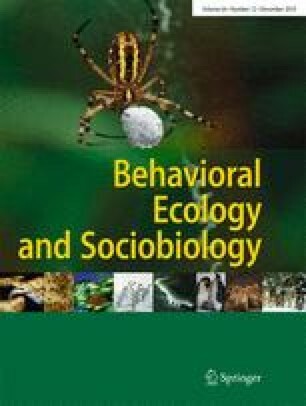 This demonstrates that, in this socially monogamous species of bird, attractiveness of males could be considered to be a social construct, at least partially determined via social feedback from females. NJR was supported by the Natural Environment Research Council on fellowship NE/C002199/1 and TWP by the Natural Environment Research Council on grant NER/A/S/2003/00490 to Jan Lindström, Neil Metcalfe and Jon Blount.